Cutting Edge is a multi-level general English course for adults and young adults. It combines rich international content, comprehensive grammar, and real-life functional language within a clear easy-to-teach structure. A special focus on phrases and language `chunks` makes vocabulary easy to remember and easy to use. A straightforward structure of task preparation, performance and outcome develops students` speaking skills. 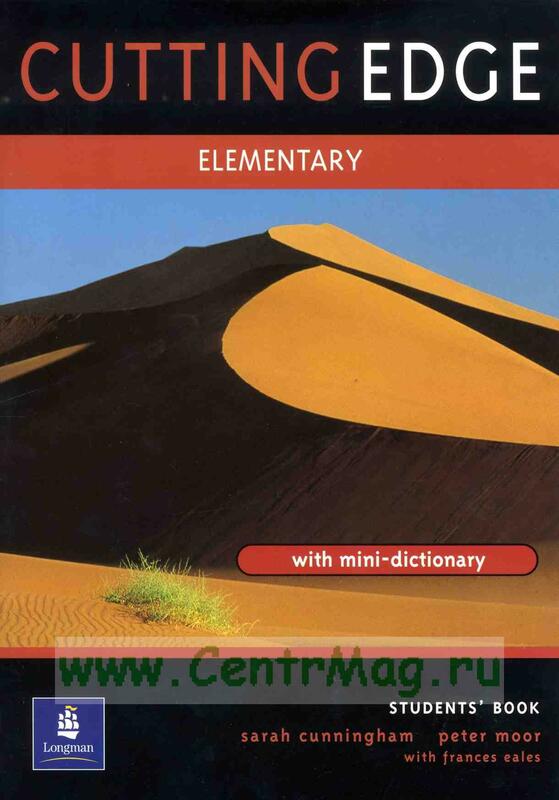 - Unique Mini-dictionary helps train the learner to study independently. - Teacher`s Resource Books with a large bank of photocopiable activities, teacher`s tips and alternative teaching suggestions. - Videos and Video Activity Books with varied documentary-style features. - Companion Website with extra resources, web links and chat facilities.